Lori Hirshman is dedicated full-time to helping people achieve their personal health goals. She did her undergraduate work at Eastern Illinois University majoring in Psychology and Special Education. After many years working in corporate America, Lori found her passion working in Alternative Medicine, as a Colon Hydrotherapist. 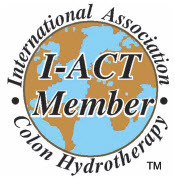 She is a member of GPACT (The Global Professional Association for Colon Therapy). Lori is also a active member of I-ACT. Thru Continuing Education (CE) classes, health seminars, research, independent study groups, and detox programs throughout the country, Lori keeps on the forefront of living and eating healthy, while incorporating Spirt, Mind and Body! When Lori worked in Lincoln Park, where she played a very active role in many well-known one month detox programs. Lori spoke quite often at many of the informational groups and classes in Chicago, helping students understand how important Colon Hydrotherapy is, as the key in “detoxing” as well as just staying healthy! After leaving the city, Lori practiced in Glenview and Highland Park and now North Shore Colonics has permanent, more convenient location in Northbrook (behind Northbrook Shopping Center. Lori herself is a walking example of how the body can change when you focus on eating clean, making wise food/health choices and keeping the internal “pipes” working. We take better care of our cars then we do our bodies…. how often do you get the oil changed in your car??? You don’t have to go through life suffering with awful migraines, years of constipation, back aches, acne and skin problems as Lori did until she found this type of therapy. Colon Hydrotherapy is and can be helpful for all of those symptoms and many others.